Leaky pipes. A toilet that won’t flush. An ice-cold morning shower. These are just a few of the many plumbing problems that can instantly transform a normal day into stress and chaos. Because these things can happen to anybody at any time, you must prepare for them by finding a trustworthy emergency plumber. RC Plumbing is someone that you can always call for your plumbing repairs and installation, no matter what time of day. Our plumbers are skilled at all types of residential, commercial, and industrial repairs. If you need plumbing installation in your kitchen or bathroom, we’ll get them taken care of without any hassle. We understand you need to get your life back together as quickly as possible, so we work hard to get the job done in a highly efficient manner. It is our goal to treat your home or office with the utmost respect by providing work that will last a very long time. 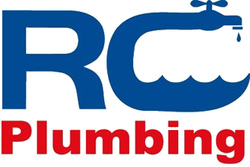 RC Plumbing services Covina, Ontario, Yorba Linda, Corona, and several other cities in the surrounding area. No matter what it is you need, RC Plumbing will take care of you better than any other company.